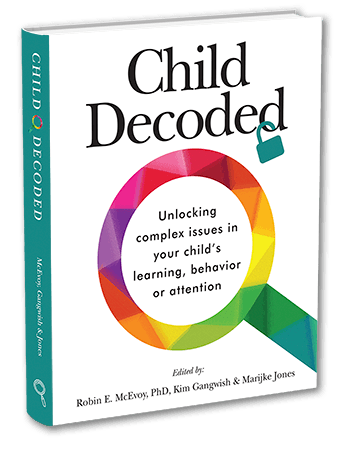 Child Decoded delves into a range of issues, from nutritional imbalances and food allergies to math and writing dysfunctions…parents struggling to find answers to their children’s puzzling behavior will likely enjoy more than a few “Aha!” moments while reading this fabulous guidebook. Though it can be daunting for parents and caregivers to navigate a sea of conflicting information when it comes to what’s best for their child, [the authors] offer a thorough, and thoroughly readable, guide to sailing those seas with Child Decoded. Though the underlying neurobiology to this argument can be difficult to understand …the authors effectively contextualize the origins of behavioral symptoms without compromising pacing, readability, or the integrity of the underlying science. Child Decoded is heartfelt in a way one wouldn’t expect – technical, but personalized in a manner that invites the reader into a trusting conversation. The real-life stories about idiosyncrasies and disorders are palpable and passionate…Child Decoded is very much a talk about resilience – digging deeper – and happiness-seeking, as much as it is an informational text and resource manual.